How long is the ferry ride to the Sunshine Coast? 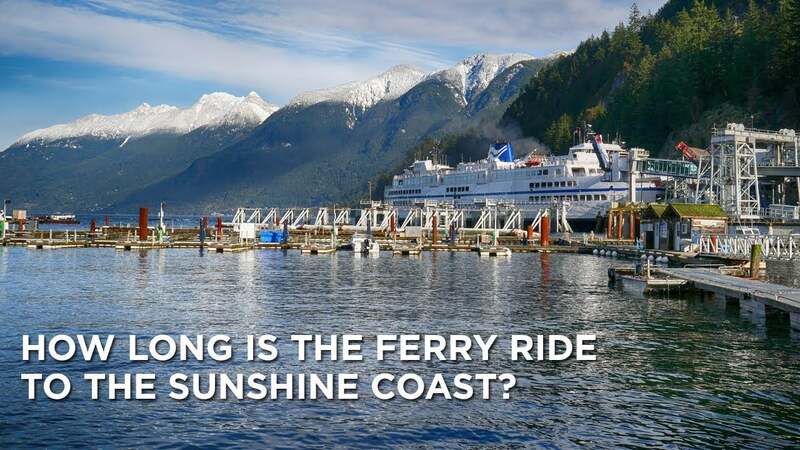 Without a permanent road tying the Sunshine Coast to the rest of the Lower Mainland, residents and visitors alike rely on ferry service to travel to and from the rest of the province. How long is that ferry ride? Sailing time from the Horseshoe Bay ferry terminal to the Sunshine Coast is about 40 minutes but that doesn’t include the roughly a 20-minute drive from downtown Vancouver to Horseshoe Bay. On regular days, plan on being at the terminal 30 minutes before your sailing. The ferry fills up quickly during the summer, long weekends, and holidays and in those cases, it’s a good idea to arrive at the terminal at least an hour in advance. You may also want to consider reserving your spot by visiting BCFerries.com. It typically takes around 90 minutes to travel from Vancouver to the Sunshine Coast but that can change appreciably during holidays and peak season so be sure to plan your trip accordingly.